Baan Ice Restaurant is well-known in Thailand for its southern Thai traditional cuisine and has been recommended by the countless food gurus and bloggers in Bangkok. In Thai, Baan means “village” or in modern usage “house/home”. Ice is the name of the the young restaurant owner who brought his grandparents’ popular Nakorn Sri Tamarat (in Southern Thailand) recipes to Thonglor in Bangkok. Besides the recipe, he had also brought in the local ingredients from Nakorn Sri Tamarat daily e.g. chili paste, sator beans and bai liang leaves. 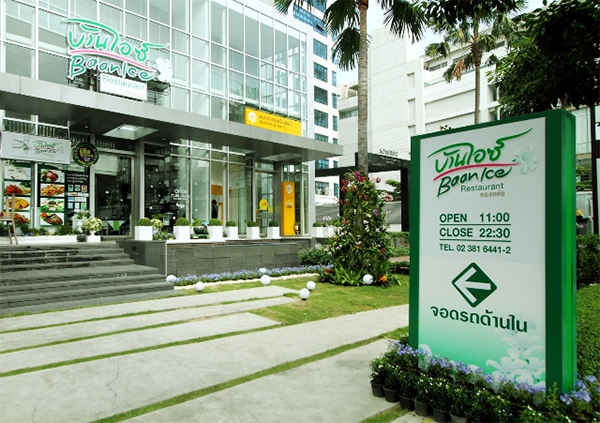 So if you are looking for traditional Thai food and hospitality in an authentic local setting at “Ice’s Home – literal translation of Baan Ice”, Baan Ice Restaurant located at ground floor of Somerset Sukhumvit Thonglor is the place. The main ingredients of Southern Thai cuisine food are coconut, cashew nuts, pineapple as these are in abundance at the tropical climate of South Thailand. Seafood e.g. fish, lobsters, crabs, mussels, prawn and scallops are also key features of Southern Thai cuisine due to the warm seas that surround the peninsula. Southerners also like their food chili-hot and enjoy the bitter taste of the flat native sator beans. We experienced each of these characteristics of Southern Thai food at Baan Ice (except for the bitter sator beans) and I guess they are as authentic as it gets because each of these dishes taste wonderful. First thing first – request for an English menu if you can’t read Thai; while the pictures would usually suffice – it wouldn’t do justice to the dish if you don’t understand the short blurb beside each picture explaining what the food is about and some stories of Ice’s childhood. We started with the Pineapple Curry (180 Baht) – Southern coconut milk can be considered the best in making curry due to its sweetness and richness; when you mix it with the sourness of pineapples and hotness of Southern chili paste and then add it with pork, shrimp and then simmer all these ingredients – you get a very yummy dish unlike any curry dish you have tasted (at least in Singapore). It is hot and very savoury (to some extent addictive) – it can be very potent 🙂 so mix it with rice and pork/shrimp to enjoy the dish! If you like Tom Yum spicy and at the same time very tom yumish (i.e. sour), you should try this dish – Clear/Milky Tom Yam Kung (spicy soup with shrimp) (200 Baht) but a word of warning – it is very spicy! For dessert, you can end off with Pink Snow (70 Baht) – shaved ice with (i think) Bandung fillings doused with condensed milk – sweet and nice! The picture below shows all the dishes recommended above. 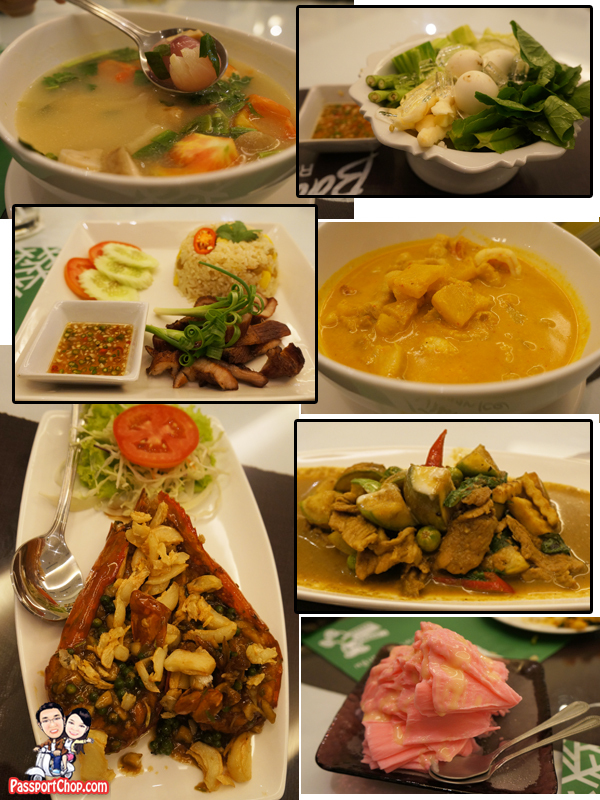 The portions at Baan Ice restaurant are generous – so you might want to share some main courses and soups if you don’t want to overeat. Prices are reasonable (considering the size of the serving) – of course, the prices can’t beat those of Bangkok street food but you are getting very good Southern Thai food in a cozy comfortable dining environment. Baan Ice restaurant is spacious two-story dining venue. for private dining, request for a seat upstairs. 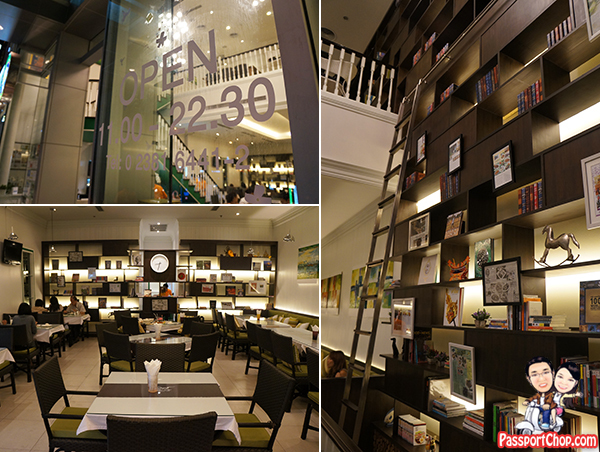 Downstairs is also comfortable – you will notice the many tall bookshelves that run along the walls alongside framed newspaper articles commenting on the good food of Baan Ice restaurant. The pictures are beautiful! The dishes seem delicious! I loved this Baan Ice Restaurant. I do not know.